Fermilab Blessed With Baby Bison! 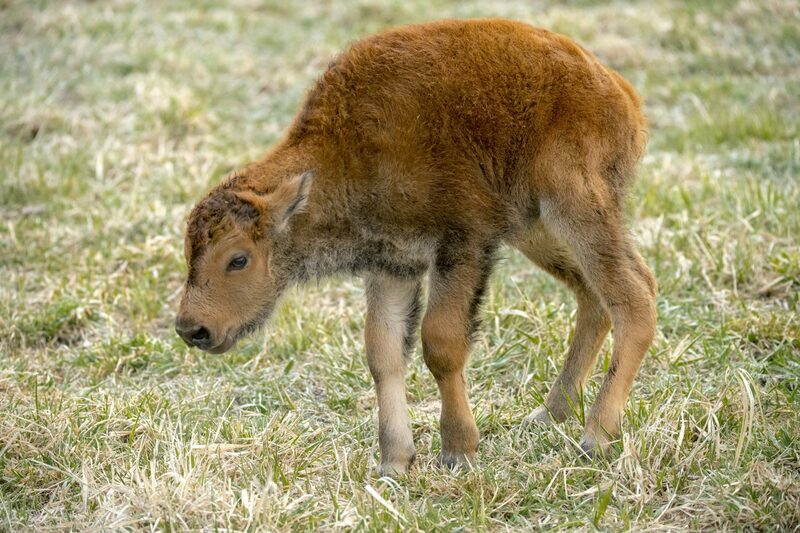 Browse: Home / 2018 / April / Fermilab Blessed With Baby Bison! Fermilab offers several annual traditions for Kane County residents, from its Family Open House to its STEM Career Expo. But none are quite as anticipated as the birth of the year’s first baby bison. On Wednesday, April 18, baby bison season officially began. The first calf of the year was born in the early morning hours, with a second appearing before noon. The first two baby bison calves are healthy and keeping up with their mothers, walking and nursing. While you’re at the Fermilab site visiting the bison, you can learn more about our ecological efforts by hiking the Interpretive Prairie Trail, a half-mile-long trail located near the Pine Street entrance in Batavia. The Lederman Science Center also offers exhibits on the prairie and hands-on physics displays. The Lederman Center hours are from 8:30 a.m. to 4:30 p.m. Monday through Friday and from 9 a.m. to 3 p.m. Saturdays. And the 15th floor of Wilson Hall is open to the public from 8 a.m. to 4:30 p.m. Monday through Friday and from 9 a.m. to 3 p.m. Saturdays and Sundays.